Use a soft-bristled manual or rechargeable electric toothbrush. Noticing bleeding gums while brushing or flossing can cause alarm. 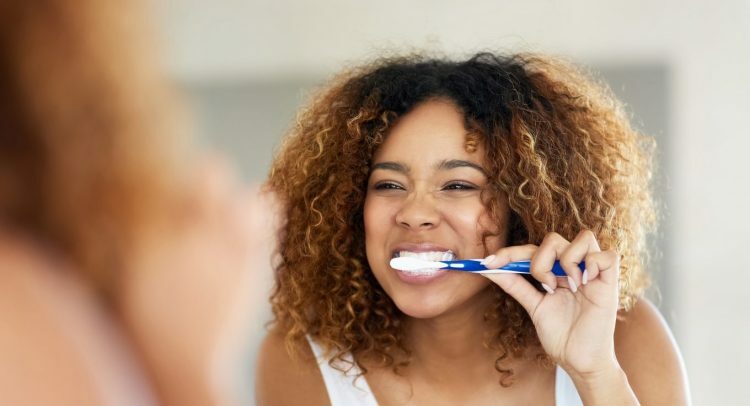 Often, the cause of bleeding gums is as simple as brushing too hard, but in some instances, it can be a symptom of something more serious. One of the biggest causes of bleeding gums is the build-up of plaque on the teeth. If left unaddressed, this will lead to gingivitis, an early stage of gum disease. Alongside bleeding gums, symptoms of gingivitis include red and puffy gums. Gingivitis occurs when plaque, which contains bacteria, builds up on teeth and produces toxins that irritate the gums. Signs of gingivitis include bleeding, puffy, sore, inflamed, or red gums. Managing gingivitis is important so that it doesn’t progress into a more serious form of gum disease. Thorough, daily plaque removal is your best weapon against gingivitis. Other factors that might increase your risk of gingivitis include smoking, stress, hormonal changes, poor nutrition, medications, and chronic diseases. 1. Brush thoroughly twice a day with an anti-gingivitis toothpaste. 2. Rinse thoroughly with an anti-gingivitis mouthwash. 3. Use a soft-bristled manual or rechargeable electric toothbrush. Pregnancy gingivitis is caused by a rise in the hormone progesterone, which can contribute to an increase in the flow of blood to gum tissues thereby making them sensitive, swollen and more likely to bleed when you brush and floss. These hormonal changes can make it easier for certain gingivitis-causing bacteria to grow and can make gum tissue more tender. While pregnancy gingivitis can occur anytime between the second and eighth month, it’s usually more severe during the second trimester. Controlling plaque is the most important thing you can do to prevent problems with pregnancy gingivitis. A strict home-care routine of proper and meticulous plaque removal should start even before you are pregnant. Not all oral care products are the same, so be sure to choose a toothpaste and mouthwash designed to treat plaque and gingivitis. Also try a soft, rechargeable electric brush to make plaque removal easier. Blood-thinning medications may also cause your gums to bleed. If you think your bleeding gums might be due to medication, get in touch with your dentist. The best way to find out the cause of your bleeding gums is to book an appointment with your dentist. 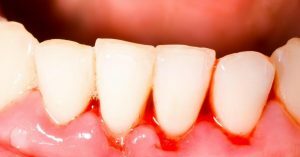 Your dentist or dental hygienist will be able to advise you on the best bleeding gums treatment, according to your symptoms.